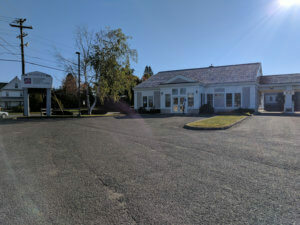 Katahdin Federal Credit Union serves members throughout a wide swath of Maine, covering Penobscot County, Piscataquis County, and the southern part of Aroostook County. Travis Rich works in information technology and business development at the credit union, and was involved in their move to a hosted phone system from OTELCO. Travis took the time to share their story of how their Hosted PBX phone system kept operations running smoothly, with our business technology tools. Travis and his team knew it was time to switch phone systems because their old system was failing three to four times a day, and was simply making it difficult for them to conduct business and deal with members as they needed to. They spent a year researching options, finally determining that OTELCO’s hosted phone system was the best option for their local, customer service-oriented business. Travis credits the cost, available features, and product reviews of OTELCO’s system as being the determining factors in their selection. In speaking of the transition to the OTELCO system, Travis says, “The process was smooth and training was excellent.” During the training, OTELCO sent staff to provide onsite assistance the day of the move. Additionally, OTELCO provided training at multiple Katahdin locations and each location had multiple rounds of training so that no location would be without coverage during the trainings. Since making the switch to OTELCO, Travis and the rest of the staff at Katahdin have found OTELCO’s customer service to be excellent, and have also enjoyed the ease of adding additional services when needed. Katahdin Federal Credit Union has been so pleased with OTELCO, they are currently in the process of moving all of their locations’ internet service to OTELCO. Katahdin Federal Credit Union suffered a fire at its main branch in 2014. When the fire occurred, all they had to do to keep operating their phone system was move two phones to a satellite location. By midmorning the day of the fire, the credit union’s phone system was back up and running. Soon after, the rest of their phones were moved to the bank’s Island Falls location, and with only a couple of calls to OTELCO’s support team the credit union team was able to have their calls transferred and get their work done while the main office was being repaired. OTELCO is proud to have helped keep a strong local business up and running during a difficult time. Thanks to Travis Rich for sharing Katahdin Federal Credit Union’s story.